Your ally in the battle against wet weather. Looks like rain? 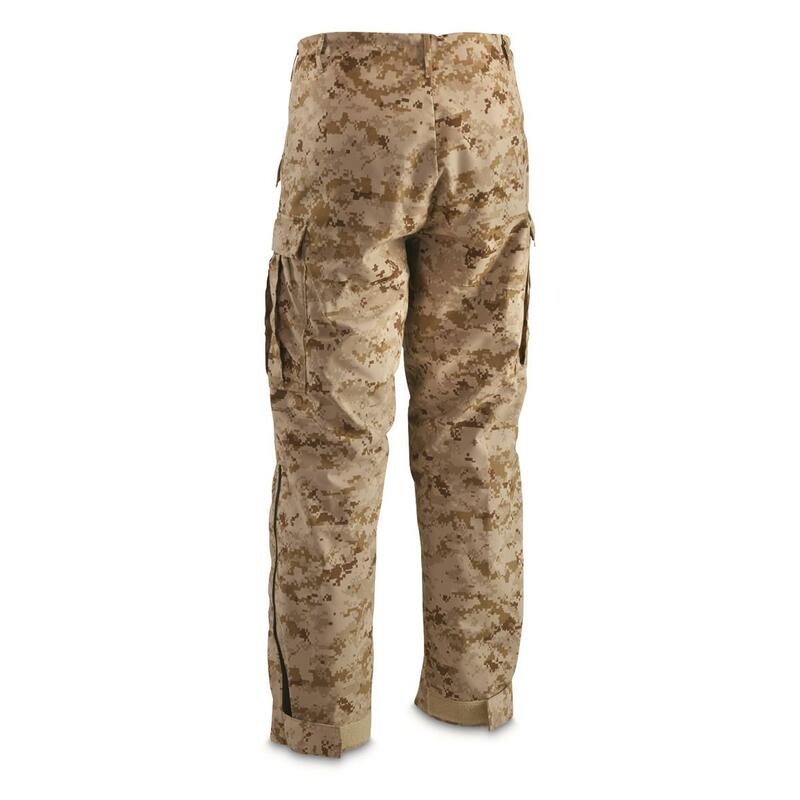 Get into a pair of these U.S. Military Desert Digital GORE-TEX Pants. 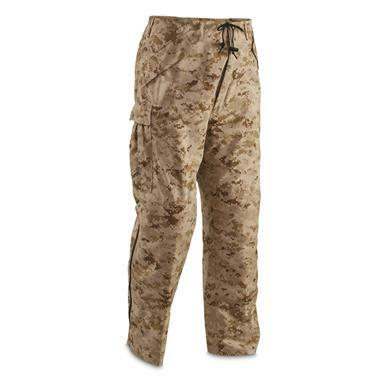 Slip them on, cinch the drawstring waist and enjoy the durable, breathable and windproof construction. Other features include two front pass through openings with flap covering, two leg cargo pockets and reinforced patches at the seat and knees.